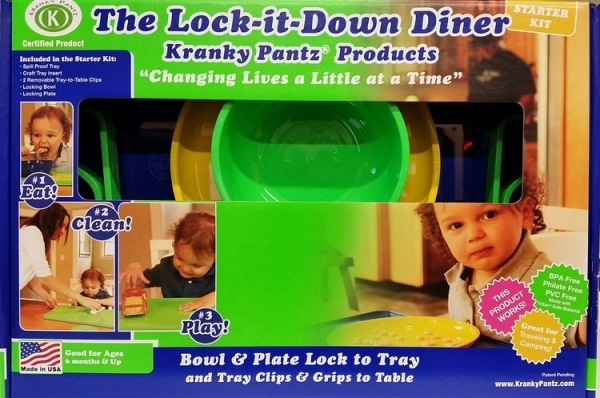 Lock-It Down Dining Kit : Prevent spills and messes. 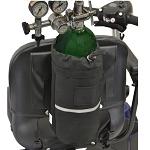 The Lock-It Down Dining Kit is a dining aid system designed to prevent spills and messes. 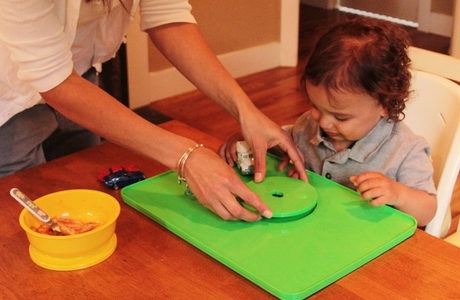 Its tray secures to a tabletop, and its plate and bowl lock on to the tray with a simple twisting motion. 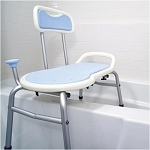 Caregivers will find this easy to use adapted tray, plate and bowl helpful for increasing dining independence. 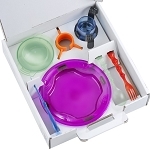 The Lock-It Down Dining Kit includes a tray, a tray insert, 2 clips, a plate, and a bowl. 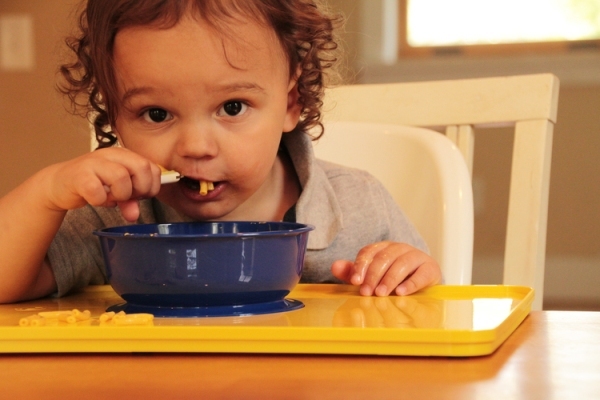 Both the plate and bowl are uniquely designed to lock into the tray. The raised edges of the tray helps to contain spills. 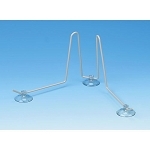 The tray insert can be used to provide further table protection. 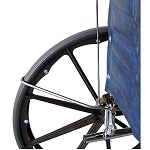 The clips are capable of being attached to up to 1 3/4 inch table tops. 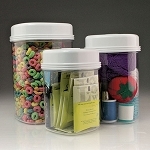 It is made from impact resistant, BPA/BPS-toxin free, highly durable Tritan®, and is microwave and dishwasher safe. 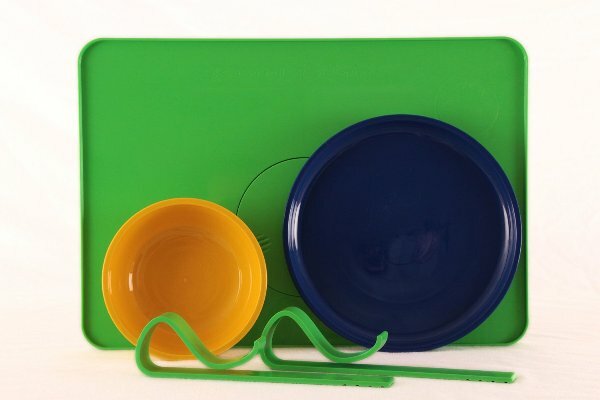 Choose from 3 different colored dining kits: Blue Tray with Yellow Plate & Green Bowl, Green Tray with Blue Plate & Yellow Bowl, and Yellow Tray with Green Plate & Blue Bowl. Additional bowls and plates are also sold separately, please contact us for ordering. Tray dimensions: 17 inches wide, 12 inches long. 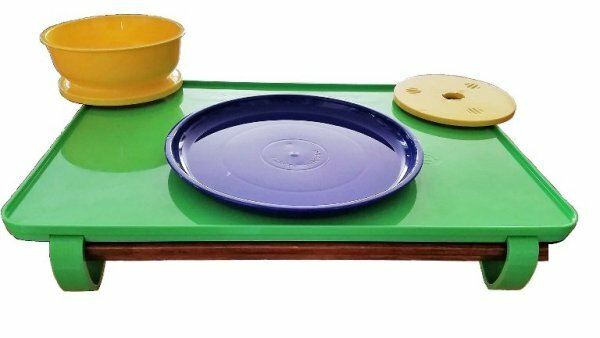 Choose color: Green Tray, Blue Plate & Yellow Bowl, Blue Tray with Yellow Plate & Green Bowl, and Yellow Tray with Green Plate & Blue Bowl. 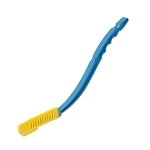 Materials: BPA Free, Phthalate Free, Latex Free, Lead Free. Care: Dishwasher and Microwaveable Safe. Q: Do you have a glass or cup that locked down in some way? A: There isn't a cup that locks down with this tray. 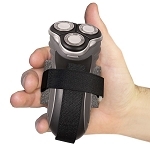 The Freedom Large No Tip Suction Pad Cup Holder will keep drinks from tipping over. The product # is CFP191.